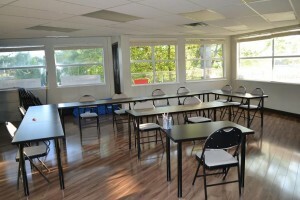 Quality training programs are available in Grande Prairie, Alberta, at Grande Prairie First Aid. It offers high quality programs for first aid training in high end training facilities throughout Alberta. The facilities are easily accessible by public and private transportation. All instructors are certified by St Mark James so students are assured of quality training. Prospective students can find a list of classes and schedules on the website. An on-line registration form is also available to sign up for the chosen program. Other ways to enrol include e-mails, telephone calls, and walk-ins during business hours in any of the facilities in Grande Prairie, Alberta. Grande Prairie First Aid offers the cheapest possible rates for first aid certification in the area. Rates are paid in full during enrolment and are inclusive of taxes, certificates, and St Mark James training manuals. Full refunds are given to students who chose not to complete their enrolled program are entitled to a full refund of the fees, provided a 72-hour notice was given. First aid training lasts 14-16 hours and covers different emergency situations. Students are taught how to recognize and react to these different situations. Skills such as wound care and cardiopulmonary resuscitation (CPR) and automated external defibrillation (AED) are part of the program curriculum. AEDs are machines that supply the heart with needed shock through pads attached to the chest. CPR-only classes are available in three levels, lasting 4, 5, and 6 hours respectively. Private instructors with hourly rates are also available. They are all certified by St Mark James so you’re sure to get quality training. You can book them for training at home or at special events like conferences. To pass a class, a student is required to have complete attendance, 75 percent on the written exam, and good skill demonstration. Upon completion of any program, all students receive a certificate card from St Mark James. The certificate is valid for three years and can be renewed through recertification programs. First aid recertification lasts 6-8 hours and includes CPR level C recertification. Ligaments are tough tissues (functioning like elastic bands) that connect bone to bone, and muscle to bone. When the ligament is damaged – it can be partially or completely torn – a person experiences a sprain. Common sprains occur in the ankle and knee. Sprains are painful and swell almost immediately after the injury. Minor sprains can simply be treated at home but major sprains (completely torn ligaments) need medical attention.